This year's 2019 edition of British Summer Time (BST Hyde Park) will feature the presence of Stevie Wonder. Two days after the Grammy Awards of this year 2019, will be celebrated "Motown 60: A Grammy Celebration". Smokey Robinson, Diana Ross and Stevie Wonder will be some of those that will not be missing. The CBS network will broadcast it on April 21. At this year's annual House Full of Toys Benefit, Stevie Wonder will support -apart from children and the most disadvantaged people- the firefighters and lifeguards who helped in the California fires. The charity was presented as "The Stevie Wonder Song Party: A Celebration of Life". Love & Music" and will be held at the Staples Center in Los Angeles. Stevie Wonder did lead the list of musicians who did honor Aretha Franklin on August 31 at her funeral. Stevie Wonder did perform a series of concerts during the months of August and September.Stevie Wonder Song Party: A Celebration of Life, Love and Music. Aretha Franklin announced her final goodbye, indicating that she would publish a new album with the production of Stevie Wonder. After his death on August 16 remains as unknown. Milwaukee Avenue in Detroit is renamed Stevie Wonder Avenue in honor of a man who is a living legend of music. 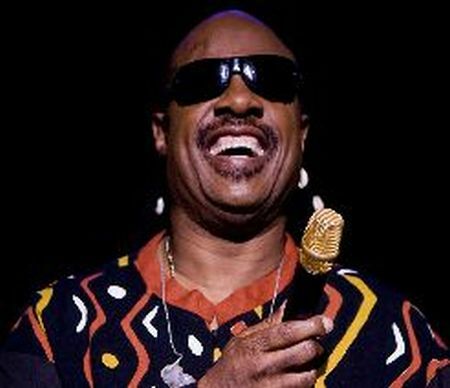 Stevie Wonder says he is working on three albums with possible soon; one with the composer, producer and winner of numerous Grammy David Foster called When the World Began, another will be called Ten Billion Hearts, and the gospel project, after his mother, Gospel Inspired by Lula.